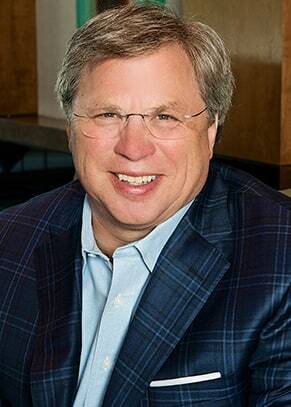 Each year, LexisNexis honors a select group of blogs that set the online standard for a given industry. 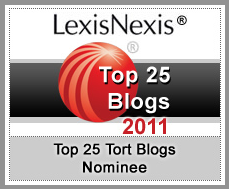 I’m pleased to notify you that your blog is one of the nominated candidates for the LexisNexis Top 25 Tort Blogs of 2011, featured on the Litigation Resource Community. We are inviting tort law practitioners to comment on our list of nominees. If you’d like to request that readers support your nomination, please ask them to comment on the announcement post on our Litigation Resource Community. Each comment is counted as a vote toward the supported blog. To submit a comment, visitors need to log on to their free LexisNexis Communities account. If you haven’t previously registered, you can do so on the Litigation Resource Community for free. The comment box is at the very bottom of the blog nomination page. The comment period for nominations ends on Nov. 17, 2011. 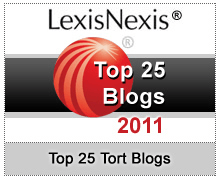 We will then post the Top 25 Tort Blogs of 2011. Thereafter, our community will vote to choose the Top Blog through a Zoomerang survey. There are many fine tort blogs in the blogsphere. It is an honor to be considered for this award.